A new year has begun and perhaps you have decided to perform a systemupgrade or get rid of your old computer system and purchase a new one. 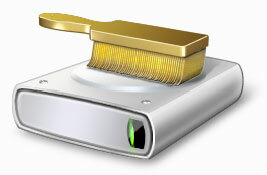 But before you sell or donate your old computer, it is very much necessary to completely erase your Hard Disk Drive. Yes, every one of us are aware of this fact and so, we delete the contents of the hard disk either by using the DELETE key on our keyboard or by Formatting the hard disk.